The Los Angeles Chargers will play at Baltimore next Sunday in a wild-card playoff game in a rematch of the Ravens 22-10 victory Dec. 22. “Baltimore’s a good football team,” Chargers coach Anthony Lynn said after his team concluded the regular season with a 23-9 victory over the Denver Broncos on Sunday in Denver that improved their record to 12-4, their best since 2009 when they were 13-3. The Ravens (10-6) won six of their final seven regular-season games, including a 26-24 victory over the Cleveland Browns on Sunday, to assure themselves of their first AFC North title since 2012. “This is the best team I’ve been associated with 34 years of coaching, even back to pee-wee … best bunch of guys that understand what it means to have each other’s back, to fight through adversity, never be divided for anything,” said Baltimore coach John Harbaugh, who coached the Ravens to a victory in Super Bowl XLVII. 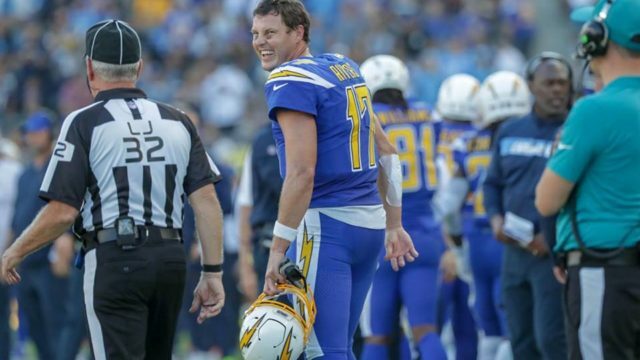 The Chargers-Ravens matchup was determined by Sunday’s results. The Kansas City Chiefs 35-3 victory over the Oakland Raiders ended the Chargers hopes of their first AFC West title since 2009 and made them a wild card team and the No. 5 seed in the AFC. The Ravens victory Sunday made them the conference’s No. 4 seed. The Chargers were assured of their first playoff berth since 2013 with a 29-28 victory at Kansas City on Dec. 13. 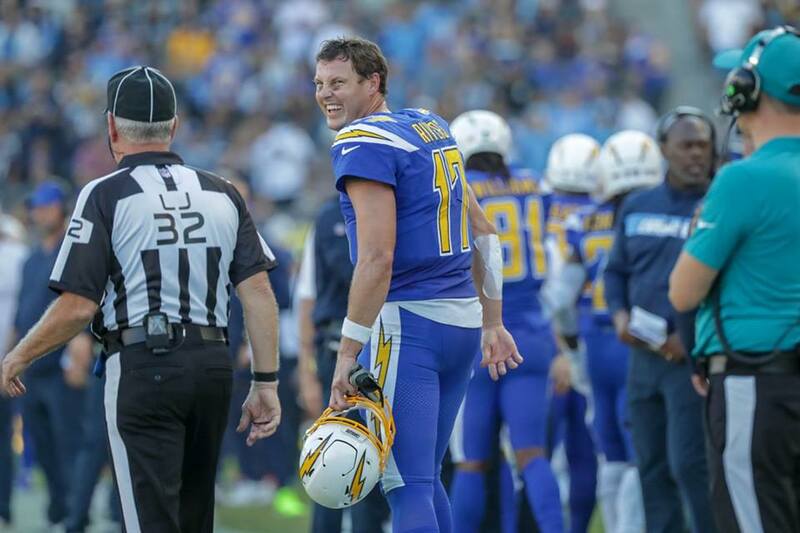 If the Chargers defeat Baltimore, their next playoff opponent would be determined by the Indianapolis Colts–Houston Texans game. If the third-seeded Texans (11-5), the AFC South champion, defeat sixth-seeded Indianapolis (10-6), the Chargers would play at No. 1-seeded Kansas City on Jan. 12 in a divisional playoff game. If the Colts defeat Houston, the Chargers would play at second-seeded New England Jan. 13.